What is Html.Display and Html.DisplayFor Method? Html.Display and Html.DisplayFor both are used to print string value to the screen. However, you can also use plain HTML tag for displaying text on the screen but Html.Display Extension Method provides more formatting option. 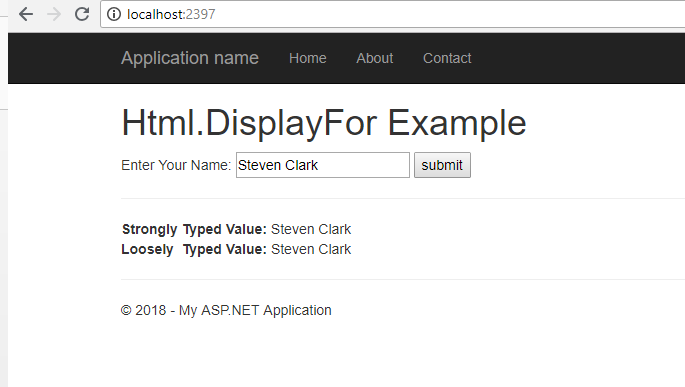 Html.Display is loosely typed method whereas Html.DisplayFor is strongly typed method.